Supreme vocalist, composer and producer Charlotte Dos Santos flies in from Norway for her first London show since selling out Jazz Cafe last year. When Outkast’s own Big Boi heard the song ‘Move On’ he described Charlotte Dos Santos as a beautiful voice with sensitivity one could touch. Whilst Charlotte spent her life in four different countries over three years, her debut project Cleo took shape ending up functioning as a diary for the Norwegian Brazilian composer, producer and vocalist. The metamorphosis of womanhood, falling in and out of love, betrayal, self realization and the passion for uplifting female musicians of colour are all subjects of the restless musicians 10 track EP. 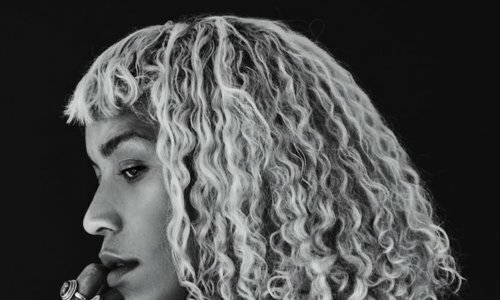 She has been referred to as “Norway’s best soul artist” She has since been referred to as both enticing and promising by Gilles Peterson, Pitchfork and Bandcamp, and is now working on her debut album, which will be completed in early 2019. Joining Charlotte for her biggest London show to date is the brain behind south London jazz collective Steam Down, saxophonist Ahnansé aka Wayne Francis and spoken word artist The Nasty Poet.